BANGKOK — In a country where changing allegiances are common, how can politicos show the depth of their commitment? 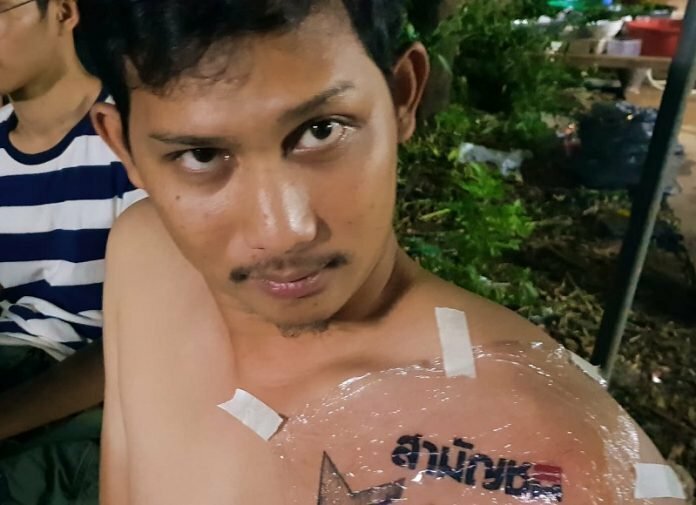 Nine founding members of a new party decided at a Sunday meeting in Khon Kaen that tattoos of the party’s logo were needed, lest they forget it. Could be a little embarrassing when they jump ship in the future. Politicians don't follow any ideology, they just follow the money and who controls it! Members of the SS found that out the hard way. The allies checked for their tattoos and got them. Yep. Better to have used the old stick-ons. Kudos, Thailand needs more, much more of the same.